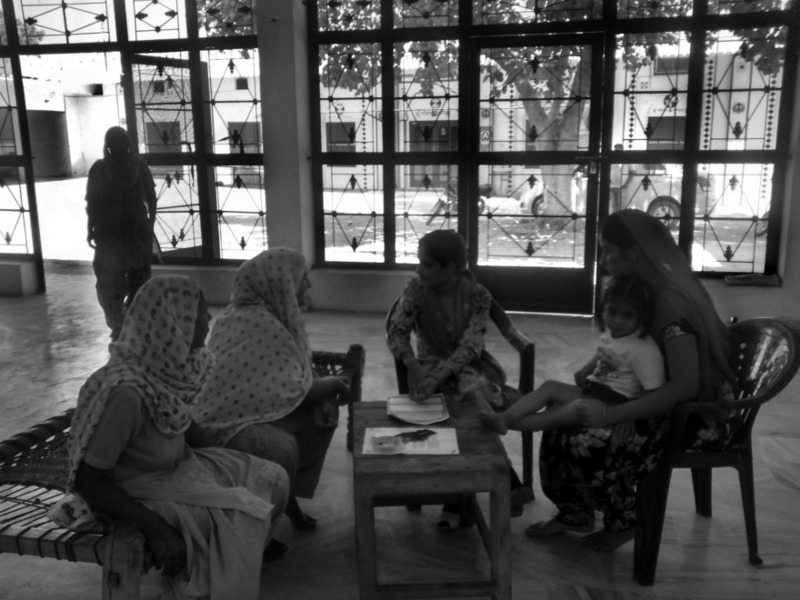 Hepatitis C has become a silent epidemic spreading across rural Punjab, India. However, adoption of its treatment has been woefully inadequate and slow. Pharmaceutical companies trying to penetrate the market attributed it to high costs of treatment. However, massive subsidies in treatment costs and introduction of Hepatitis-C treatment loans, were unable to trigger any noticeable change. Our project with Dr. Reddy's Laboratories was to decode the dynamics of Hepatitis-C in rural Punjab & devise a financing system that would reduce the perceived cost of treatment. Research was undertaken to understand what influences lifestyle choices, financial decisions and perceptions around Hepatitis-C & its treatment. Through this we uncovered a culture of misinformation, confusion and mistrust around Hepatitis-C and formal medicine. The key challenge emerged as a need to build an information and trust network, instead of the hypothesized financing system. Based on the analysis of patients' mindset, their influencer network and key-barriers to formal treatment, patient archetypes were built. This then helped construct a patient journey, through which intervention areas became apparent. It was also evident that effective grass-root level communication was needed for the company's offering to become relevant in this ecosystem. 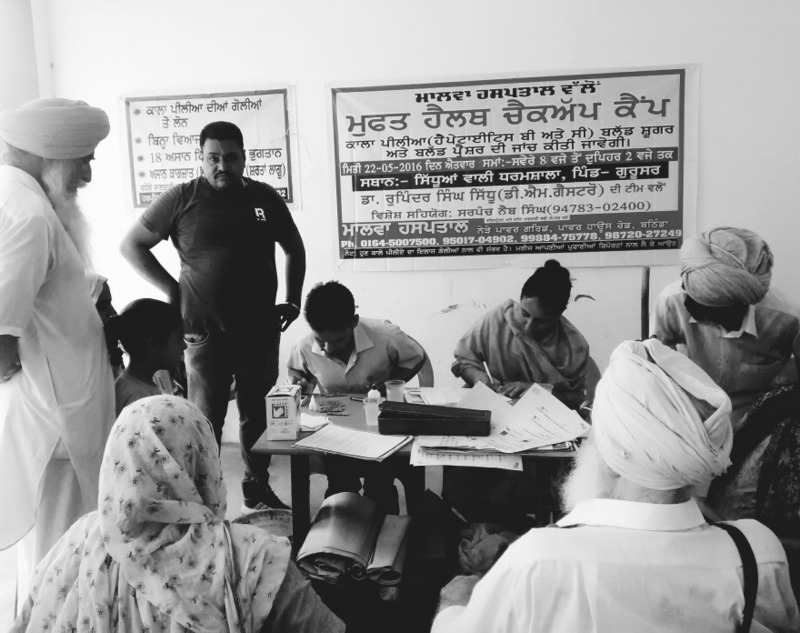 – A framework to understand the socio-cultural dynamics of rural Punjab with respect to finances & healthcare. – A framework to decipher different points of intersection in the community that would influence an increase in the adoption of formal treatment. These intersection points were - RO (reverse osmosis) water stations, money lenders, local heroes, regional medical practitioners, local quacks, existing patients and medical representatives. A three-step strategy was devised. The first was to establish a richer vocabulary for conversations around Hepatitis-C within the local community. The next was to guide the flow of patients towards formal treatment. And the last was to sustain their trust in the formal medical system. a. A communication campaign that created community awareness around Hepatitis-C, its causes, symptoms and treatment. b. Collaboration with RO stations to dispel myths of Hepatitis-C & its relationship to water. c. A Hepatitis-C handbook and orientation program that empowered key influencers to catalyse the required information and systemic changes. d. Empathy handbook & workshops with Dr. Reddy's Laboratories' Medical Practitioners to equip them in playing a trusted advisor's role in any patient's journey. They were also empowered with the knowhow to provide financial guidance to patients who needed it. After a month of launching, we saw a 40% increase in patients reaching out to formal treatment channels to undergo therapy. There also was a rapid increase in patients willing to be routinely screened for early detection of Hepatitis-C. This project became a case-study for patient centric initiatives as an offering by Dr.Reddy's. Using this as a launch-pad, such models of interventions were capitalised in other therapy areas. Punjab, formerly the richest state in India has seen its glory days owing to its highly fertile soil. In the last few years however the 'health of the state' has deteriorated owing to rampant alcohol & drugs abuse. There is, on the other side, the rise of a silent killer – Hepatitis C. Hepatitis C or Kaala Peeliya as it is called in the local dialect is a 'non-visual' condition. It doesn't affect the body in its early stages and can remain dormant for up to 20 years post which it leads to fast decay of the liver. During the course of this project districts like Muktsar were visited where ~60% of the population were at varying stages of the disease. Pharmaceutical companies were baffled by their findings that with such a large prevalence of the disease, the treatment was not being adopted at the same rate. One of the answers received from them was that the cost of the treatment was too high, rendering it unaffordable for a farmer. However, the Indian Government launched subsidies reducing the treatment from Rs. 1,00,000 to Rs. 45,000. Further, micro-finance institutions also started offering loans at low monthly installments and no mortgage. Despite these interventions, the rate of adoption of the treatment remained just the same. Assuming that the challenge lay in the perceived initial cost, Dr. Reddy's Laboratories approached Treemouse to strategize a new model for a financing system acceptable by patients. 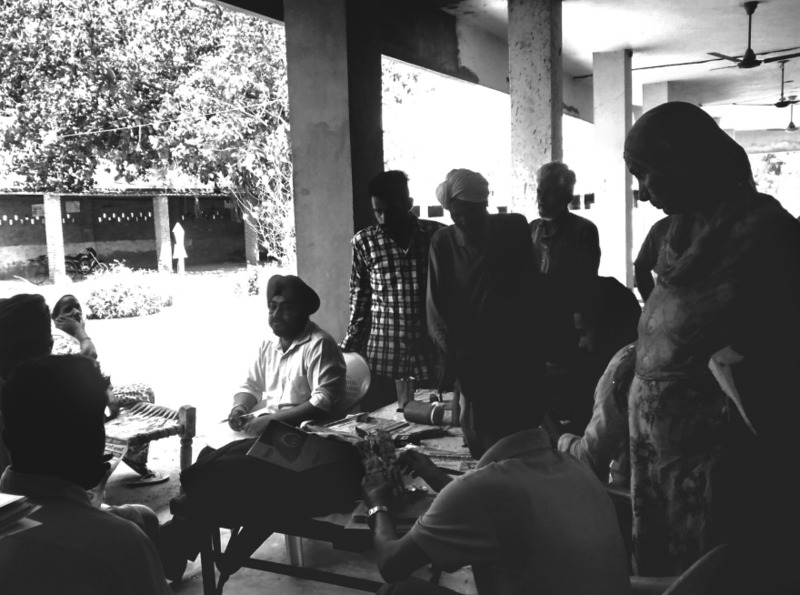 To uncover this model, the engagement started with research around two broad areas - Decoding the dynamics of Hepatitis-C in rural Punjab and creating a financing strategy that would help reduce the perceived cost of treatment. A team from Dr.Reddy's and Treemouse began speaking to patients at a hospital where the patients spoke of how unaffordable the treatment was for them.However, on visiting a few patient households, a pattern was discernable -Patient's didn't lack adequate finances, they needed a stronger conviction before parting with large sums of money.There were underlying misconceptions behind Hep C, its symptoms and its repercussions which did not provide any apparent reason to spend on formal treatment methods. "What's the point? We can't escape this bad water, even if we spend the money how will we get better if the water still remains bad?" With these initial insights, the challenge seemed to steer away from financing towards deep-seated fears and misconceptions. To unravel the core of the problem, a detailed ethnographic research study was undertaken that would help trace a patient's journey and identify the influencers within it. The research was carried out across all the touchpoints through the patient's ecosystem, namely: Interviewing hepatologists and physicians, sitting through local surgeries, tagging along with patients & non-patients for the day to understand the key informants in their everyday life right to spending time with them through post-op. We also visited local shops, pharmacies, quacks, unani or ayurvedic doctors, counselors, village informants and regional medical practitioners (RMP) and also observed discussions between money lenders where the grains were mortgaged for loans. Most important decisions of a household, were measured against a yard-stick of perception of others in the community. In matters of finance this yard-stick was of prime importance - homes were refurbished, tractors or harvesters were bought to keep up with the image in the community. In matters of health there was a general air of curiosity. The 'usual' ailments were treated using household remedies. Cold or flu was treated with a visit to RMP or quack. People were very used to injections for a perceptual sense of feeling better, as expressed best through one patient. "Whenever I feel low in energy or feel like I'm going to get a cold - I visit Gurdeep (the RMP) who gives me a shot. Gurdeep knows our family well, we used to visit his father when as kids we weren't feeling too well." People were aware that beyond the everyday, a RMP wouldn't have sufficient knowledge to treat ailments such as HIV, HepC or Cancer. The curiosity around obtaining information about serious ailments was evident through patients who hadn't decided their treatment path. In lieu of one trusted source of information, patients would often be found gathered around people or places that would offer any kind of information eg. labs, camps or even doctor offices. Any information received by the patient was vetted through their trusted network and sources. Once enough confidence was gained in this information, they would dive into a treatment (being ayurveda, unani or english medication). In the case of Hepatitis-C, an anomaly that breaks this cycle of obtaining knowledge confidence is a false-positive test, called the points test in local dialect. Medically, this test checks for the presence of the hepatitis virus in the blood stream. However, without any other visual indicator of the virus in the bloodstream, it served as a go-to for gauging the spread of the virus. With all this in place, along with an understanding of the socio-cultural dynamics of the community, a joint synthesis session was held to note the probable points of intervention. A commonly available framework for bucketing observations and insights into 'Why - What - Where - How' was undertaken. The result of this synthesis was a two-pronged system. One looking at streamlining the current patient, doctor and counsellor interaction once a patient reaches the hospital and the other looking at touch-points for information dissemination. Streamlining the existing doctor-patient-counselor system at the hospital. The current dynamics, along with the non-visual nature of the condition made the patients feel that they were being cheated. "I feel fine, they tell me I'm not & try to sell me some expensive medications"
The root of this problem was the insufficient interaction between the counselor and the patient - where the counselor dictated terms of using the medication without making the patient understand what is happening to their body. Empathy workshops were held with counselors to make them relate better to the patients and be available for discussions and queries. Outreach & awareness system through information dissemination. "Hepatitis-C is like a termite, it eats up your body from within but by the time it shows up on the surface it has already done major damage - it is therefore crucial to put measures in place for early detection." To enable such dialogue, health camps were regarded as prime importance. 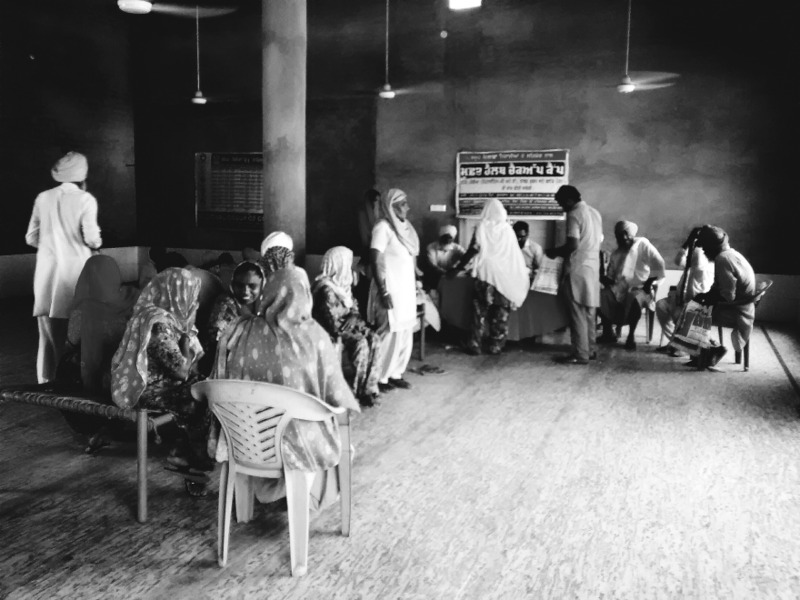 People visiting the health camps engaged with local heroes (identified influential people from the community who have undergone a full cycle of treatment) and counselors. This active participation helped dispel misconceptions and propelled the patients to adopt newer ways of understanding their condition and their recovery from it. 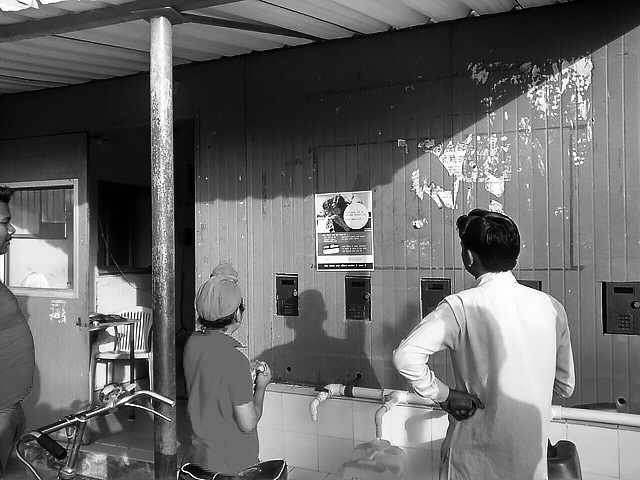 These interventions looked at means to disperse information through passive channels - posters, standees, booklets. These channels would be placed at strategic points to garner attention. One such area was the Reverse Osmosis stations. Herein the time taken to fill a water canister was capitalised by placing informational posters on the walls above the tap. A significant number of people visiting the RO stations would strike a conversation with the attendant based on the information on the poster. This was further leveraged by providing booklets and do's and don't charts at water stations. There was also a need to engage and educate local health-care providers - the pharmacy, RMP, unani or ayurvedic doctor since the patient's visited them for everyday ailments. It was in their favor to be equipped with an understanding of the condition such that it establishes greater trust within their patients on their capabilities. These touch-points were provided information and conversational guides to self-educate on the disease. Using this two pronged approach of streamlining and outreach meant that the patients would not be left lurking for information and trying to decipher what has happened to them. In a month of launching the pilot there was a 40% increase in patients reaching out to formal treatment channels to undergo therapy. There also was a rapid increase in patients willing to be routinely screened for early detection of Hepatitis-C. Further, this project became a case-study for furthering patient centric initiatives as an offering by Dr.Reddy's. Using this as a launch-pad, such models of interventions were capitalised in other therapy areas.